The Institute for Supply Management's Annual Conference kicks off in just two weeks! This year's event features keynote speakers Alan Mulally, Susan Cain, and Susan Schwab. With eight different learning tracks addressing lessons learned, industry best practices, career advice, networking, and more, there is something to gain for every supply management professional. 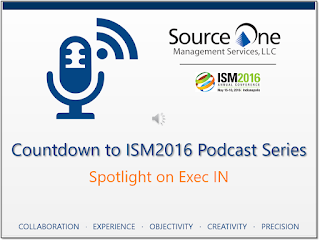 This week’s episode of the Countdown to ISM 2016 Podcast Series, Exec IN Spotlight, features Naseem Malik, Managing Partner at MRA Global Sourcing. Malik has been the moderator of Exec IN for the past three years. He shares insights into how the forum has operated through the years, and why this year is one that you do not want to miss. He explains how this year’s event is catered directly to procurement and supply management leadership to help them address various issues that arise in supply chain. Above all, it provides a platform to learn about topics that will potentially impact the supply chain landscape in the future. 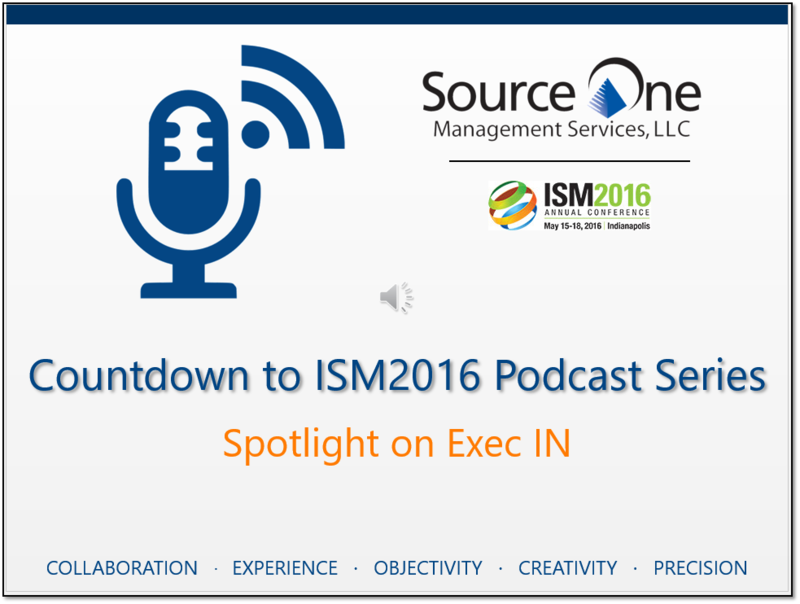 Malik highlights the value of attending ISM 2016, in addition to the benefit of top-level executives participating in the Exec IN forum, sponsored by Source One Management Services. The theme of this year’s Exec IN will focus on CPO power and how CPOs achieve success by aligning with stakeholders. Malik explains how despite the overall theme of the panel discussion, the panelists will be covering an array of themes that affect supply chain. Additionally, the panelists will also be opening the floor to questions, a chance for executives to address their concerns specific to their companies. Also this year, Source One Management Services will be joining forces with MRA Global Sourcing to deliver Who's that Under the Helmet? The session will emphasize the importance of personal branding for career advancement, as well as how supply management professionals can better market procurement's value to the organization overall. Presenters Diego De la Garza of Source One and Kaitlyn Krigbaum of MRA Global will provide practical advice of procurement professionals for building their individual brands, as well as how to gain stakeholder buy-in for the procurement function.